As our life expectancy continues to improve, the importance of retirement income grows, and the need for personal pension savings with it. In addition, the baby boomer generation approaches retirement, resulting in further strain on public sector pensions. 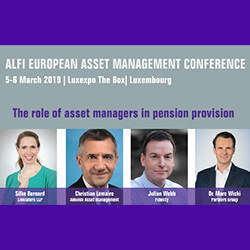 The opportunities for new investment products and services created by these developments will be on the agenda at our upcoming ALFI European Asset Management Conference on 5 and 6 March. 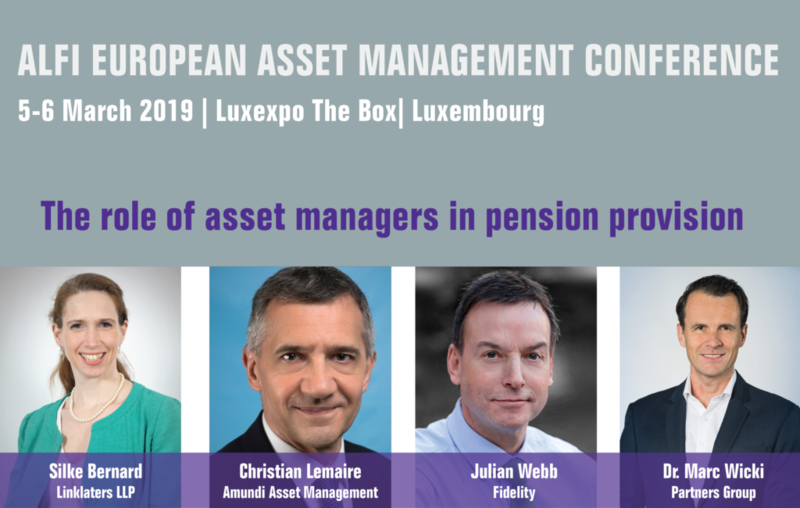 Our expert panel on Tuesday morning will look at the role of asset managers in the provision of pensions. In this context, PEPP cannot go without mention, the pan-European personal pension product. Asset managers operating in Europe can look forward to this proposed addition to their toolkit that promises to be a large-scale, portable and cost-efficient product. Designed to encourage long-term investment in a sustainable manner in the real economy, it will at the same time allow asset managers to tailor products to suit their business models. How can asset managers shape their role in all this? Get your conference ticket now to hear it from the experts.